[Radio Okapi] "Kabila's plan for emerging from the DRC in 2030"
제목 [Radio Okapi] "Kabila's plan for emerging from the DRC in 2030"
The media release of the political bureau of the presidential majority and the presentation of the Strategic Development Plan of the DRC by the Director of Cabinet of the President of the Republic, Nehemiah Mwilanya, are the main topics released by the press in Kinshasa on Tuesday 23 February. 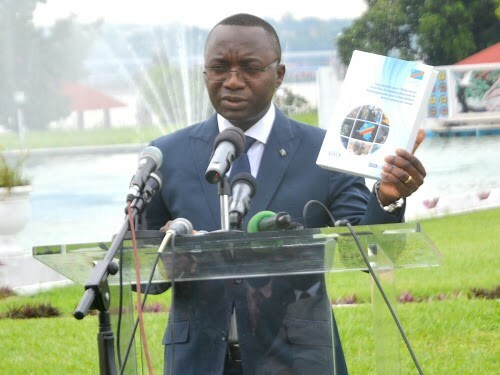 It reports that the plan designed since 2010 by Congolese experts with the support of Korean experts, will serve as a compass to the Congolese executive program in the coming years. "Structured in three parts, multi-sectoral document discusses, first, policy and development strategy; Second, it highlights the actions to take and finally, the observations and conclusions," says the daily. He mentioned in particular the strengthening of three key sectors as engines of national growth: industrialization of basic sectors, development of vast agricultural land and improved productivity of the mining and industrial sector. The plan provides for the creation of industrial economic zones that will create jobs and import substitution. Attracting and supporting foreign direct investments (FDI) that will enable the development of exports, promote the development of agriculture and fishery products, industry are also envisaged in the plan, the newspaper reported. Prosperity also devotes its presentation of the "new plan of President Kabila to transform the DRC." For Nehemiah Mwilanya Wilondja, Chief of Staff of the President of the Republic, President Joseph Kabila wants to transform the Congo into a pool of intelligence and knowledge, a breeding ground for new citizenship and the middle class, a breadbasket, an energy power, an economic and industrial pool and a regional power in the heart of Africa, the newspaper said. The daily reveals, without giving details, that concrete actions are planned to materialize this Strategic Plan presented to journalists.